Saudi Arabia has started implementing a long awaited overhaul of its power sector to curb rising demand and promote more competition, according to Arab Petroleum Investments Corporation (Apicorp), the multilateral development bank focused on the energy sector. This comes at a time when the demand has been growing 6.6 per cent annually for the last 12 years, stated Apicorp in the latest research report published today (October 16). This month’s report discusses how Saudi Arabia urgently needs to resolve the imbalance of current demand for power as against, and assesses possible options. Demand for electricity in Saudi Arabia has risen by 6.6 per cent every year since 2006, and while the government has previously invested in installed capacity to increase it from 60GW in 2010 to 82GW currently, it is not sustainable. It puts unmanageable pressure on the state energy budget, and Saudi Electric Company (SEC), the state utility is also borrowing at all-time highs, said the report. The government has therefore begun plans to reform the sector. Having seen a third consecutive year of budget deficits, it is keen to have a more sustainable resource allocation plan. This also comes at a time when the kingdom is pursuing an ambitious plan to diversify its economy and allow for greater participation from private sector. 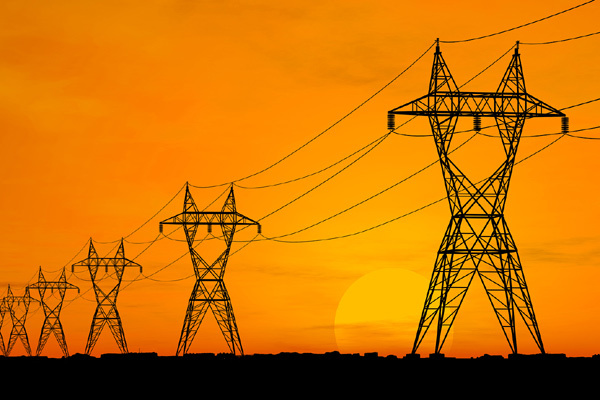 The power sector is perhaps one of the most suitable industries for privatisation. The government previously announced that it would break SEC up into four power-generating companies, one transmission and one distribution company. This is a first step towards market liberalisation, which has long been overdue, said Apicorp in its report. Much uncertainty remains on the timing of these reforms, which were first announced to take place by the end of 2016. The plan will centre on allocating SEC’s power-generating assets to four companies, with the likelihood that these companies will be offered to local and international investors. The new market structure implies that the government will keep the single-buyer model and maintain its monopoly in the transmission and distribution networks. This will make the power-generating element of the sector more competitive and could eliminate some of the inefficiencies prevailing in the current model where the state owns most of the power-generating capacities, said the report. However, reform could also come in the form of a multiple buyer approach - where wholesale buyers compete amongst themselves to purchase power from generators. In this structure, wholesale buyers sell their electricity to one or more transmission/distribution companies who then sell to consumers. Multiple buyers will enable price signals to work and government involvement will be reduced as the market becomes more liquid. According to Apicorp, integrating renewable energy in the new market structure will also be important. The kingdom announced plans to seek $30 to 50 billion in investments by 2023 to help meet the 9.5GW target for solar and wind energy, and the first utility-scale solar project was recently awarded to Acwa Power. The 300MW Sakaka PV project – to be located in the AL-Jawf region - achieved a world-record price of $0.02342/kWh and will operate under a long term PPA. The government also introduced a series of price reforms to help reduce demand growth. It first raised electricity prices at the end of 2015 by up to 100 per cent for some consumption brackets, although the final price was still very low. A second round of price hikes followed in 2017. This inevitably has had an impact on electricity demand growth. Mustafa Ansari, senior economist at Apicorp, said: "The government has begun a process of overhauling the power sector. On the supply side, a market structure reform with the breakup of SEC is imminent while on the demand side, the government will try to tackle rising demand by liberalising electricity prices and introducing efficiency measures."